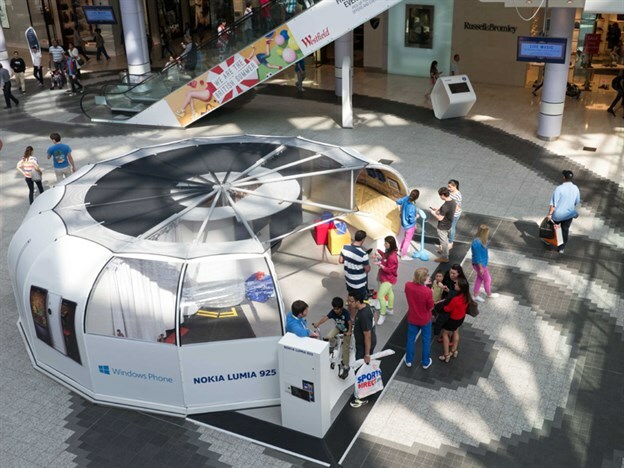 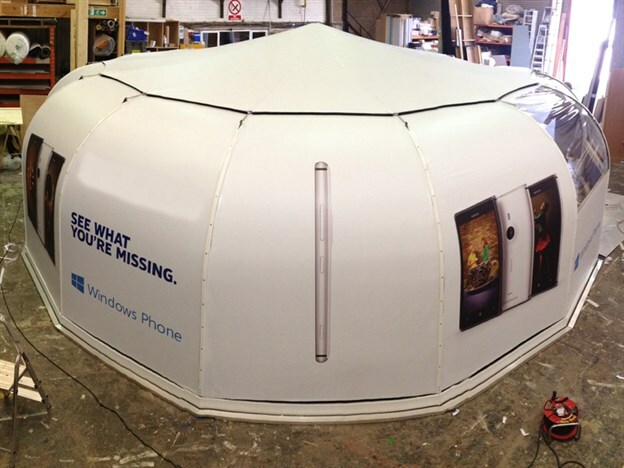 TensileFabric produced this eye-catching touring pod structure for Nokia in the summer of 2013. 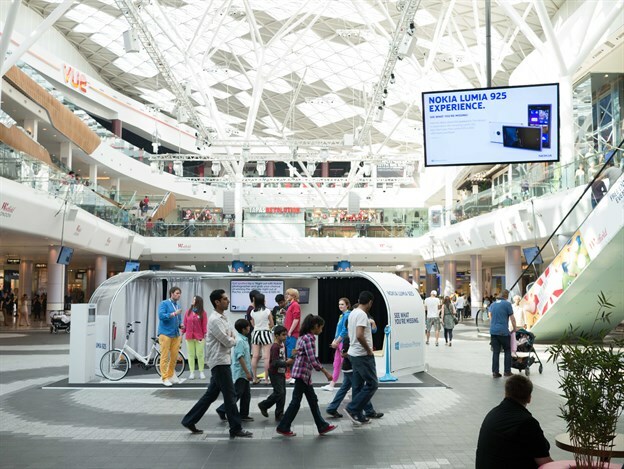 The pod was commissioned by Qwerk for their client, to tour around the country at various shopping centres, being used both inside and out to promote a new phone to the Nokia range. 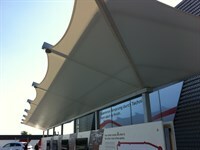 The structure consists of a steel rib frame structure, to which the printed fabric panels are slid into. 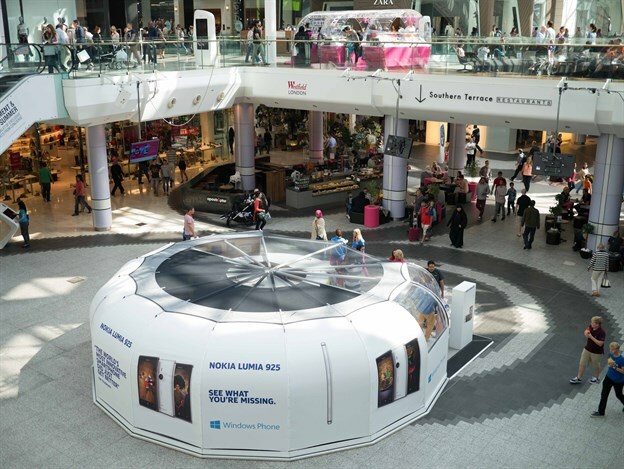 A waterproof capping element is used for external installations and is removed for interior installations and replaced with a very light mesh fabric that is sprinkler ready. 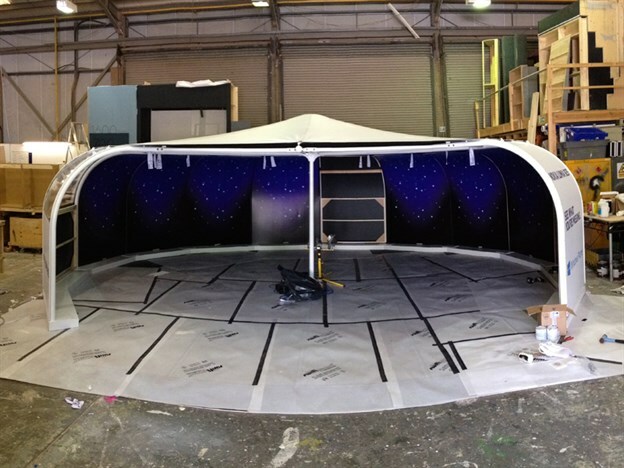 The main challenge on this project was the short lead time, this being produced in only 4 weeks from start to finish. 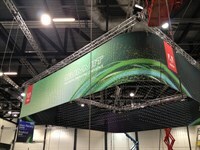 We continue our relationship with Qwerk, looking forward to many more interesting schemes.